It’s one of those strange quirks of human behavior that we’re often the hardest on the people we love the most. Because we want so badly for them to succeed, we push our family harder than we would anyone else, and sometimes, we might even push them too much. Here we’ve put together some of the best advice from experts around the globe on getting back to what’s important, remembering to treasure each other warts and all, and building a happier, healthier family. Routine is very important for kids, especially the younger ones, but the really precious memories are created when you bend the rules a little! While having structure in place can help kids feel safe and learn to be more disciplined, it’s important to inject fun and levity too. Whether it’s jumping off the couch and declaring you’re heading to the park to play with the neighborhood dogs or making a spontaneous stop for ice cream on the way back from school on a hot day, let your children see that life’s about more than rules and responsibilities from time to time. While we might understand intellectually that it’s impossible to care properly for others if we don’t first take care of ourselves, parents, as a rule, find it a lot harder to put their needs first. In reality, though, it’s even more crucial to do so when you’re responsible for children. It’s also a good way to teach them the importance of making time for yourself, which will help them lead more balanced lives when they grow up and perhaps have kids of their own. And if you and your partner are on the same page, it can be an enjoyable experience for everyone – for example, one partner taking over the cooking for the night while the other goes out to catch up with friends. While it’s not always easy to get your kids to open up, (as any parent to teenagers will attest!) letting them know that you’re always interested in what they have to say makes it more likely they’ll share when they’re ready. Always try to have a story to share with your kids when you get home – something funny or interesting that happened during the day. If this is the norm, you’re more likely to get a response in return when you ask about what happened at school. When your child speaks, no matter what age they are, put your full attention on them, or try active listening. That way, when something is really troubling them, they’ll know they can count on you to be there. Whether you want siblings for your little one to play with or have just always wanted more than one child, it’s frequently harder the second time around. Aside from worries of an increased financial burden and that the child or children you already have may feel left out; fertility problems become more likely the older you get too. If both partners are invested in another child but you’re having trouble conceiving, reaching out to a clinic that provides counseling as well as medical treatment is a great idea. Clinics such as Wijnland Fertility offer emotional support as well as outlining all your options in a supportive environment so you can make the best choice for the whole family. Between school-mandated activities, extramural, homework and studying, kids just don’t get as much time to be kids as they used to. Not only does this put unnatural pressure on them, it means less time for family activities or just hanging out together. Make sure there’s room in the schedule for downtime, and both you and the kids will benefit. Even if it’s as simple as having lunch outside on a blanket in the backyard or heading down to the local public pool together on a Saturday morning, shared experiences are a great way to bond. 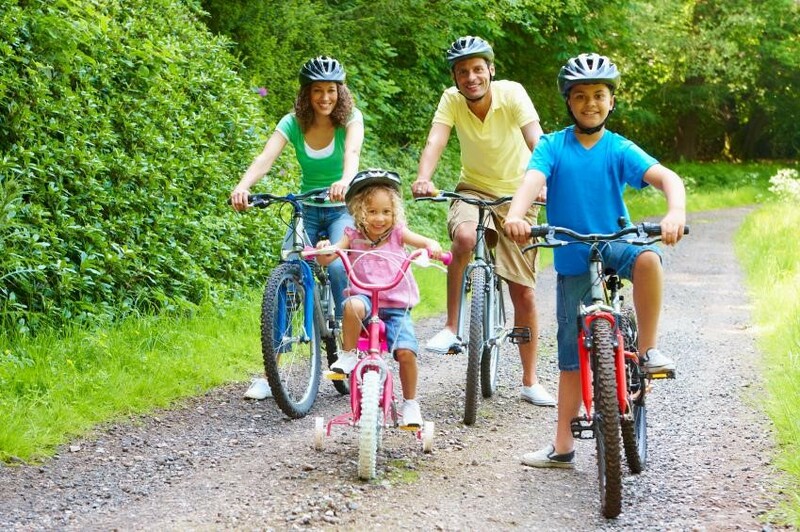 If you can incorporate physical activity, such as biking or hiking, even better. Kids are smart, and they quickly work out for themselves that what their parents say and what their parents actually do are not always the same thing. If you want to raise children who have integrity, are responsible, kind to others and treat everyone they meet with respect, you need to step up as a role model. Young children especially worship their parents and will emulate their behavior – so make sure you’re setting the kind of example you can be proud of. Previous ArticleBe Careful What You Write: Did You Know That Being Careless on Social Media Can Harm Your Personal Injury Claim?